Policymakers and the public are increasingly concerned about the rising costs of higher education, the challenge of retaining students to complete undergraduate degrees, and the employability of college graduates. In response, colleges and universities seek to engage and motivate students, preparing them with knowledge and skills for successful careers, lifelong learning, civic participation, and a meaningful family life. 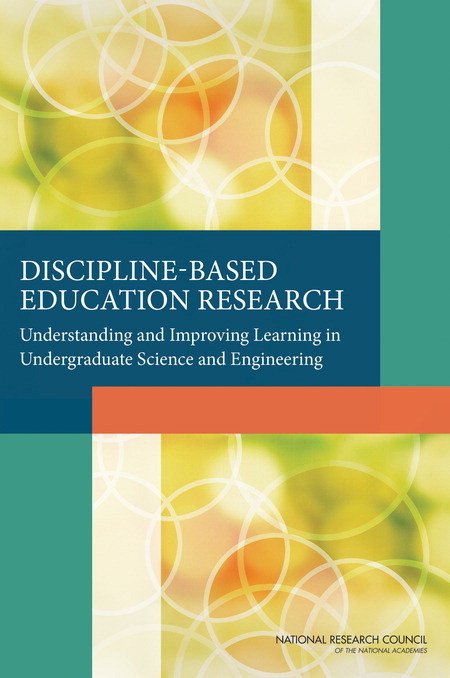 The study will inform these efforts by examining how to assess interpersonal and intrapersonal competencies (e.g., teamwork, communication skills, academic mindset, grit) for different purposes, such as to guide teaching and learning and for student, instructor, and institutional accountability. An ad hoc committee will examine how to assess interpersonal and intrapersonal competencies (e.g., teamwork, communication skills, academic mindset, and grit) of undergraduate students for different purposes. This examination will include identifying a range of competencies that may be related to postsecondary persistence and success, and that evidence indicates can be enhanced through intervention. The committee will author a report that establishes priorities for the development and use of assessments related to the identified intrapersonal and interpersonal competencies that influence higher education success, especially in STEM. Review the relevant research to more clearly define interpersonal and intrapersonal competencies, to examine whether and to what extent a range of these competencies may be related to each other and to persistence and success in undergraduate education (especially in STEM) and to examine the extent to which these competencies can be enhanced through intervention. Examine available assessments of the interpersonal and intrapersonal competencies or competency clusters that are most strongly related to undergraduate persistence. Establish priorities for development and use of these assessments for different purposes. 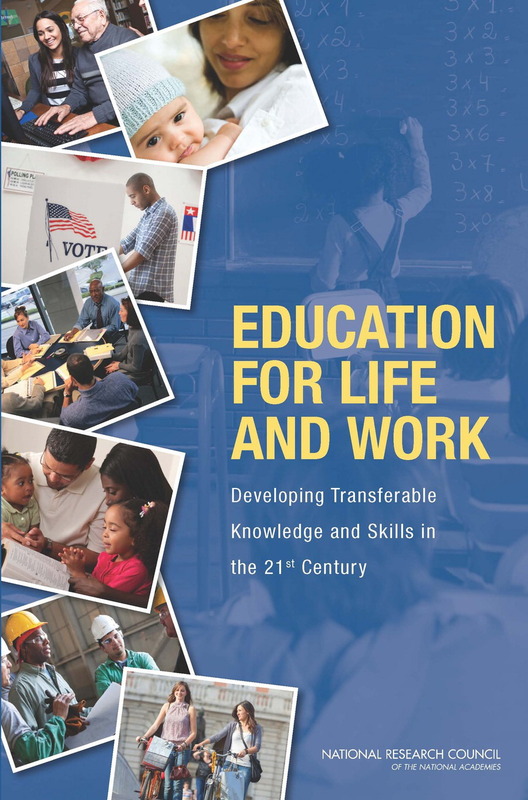 This project will build on the previous report Education for Life and Work (2012) and other NRC reports that have focused on the broad set of skills students need to acquire to be successful in the 21st Century and on undergraduate learning. Business and political leaders are increasingly asking schools to integrate development of skills such as problem solving, critical thinking, and collaboration into the teaching and learning of academic subjects. Collectively these skills are often referred to as "21st century skills" or "deeper learning." The routine jobs of yesterday are being replaced by technology and/or shipped off-shore. In their place, job categories that require knowledge management, abstract reasoning, and personal services seem to be growing. The modern workplace requires workers to have broad cognitive and affective skills. This report addresses key questions about the overlap between 21st century skills— such as adaptability, complex communications skills, and the abilitiy to solve non-routine problems—and scientific content and knowledge; explores promising models or approaches for teaching these abilities; and reviews the evidence about the transferability of these skills to real workplace applications.